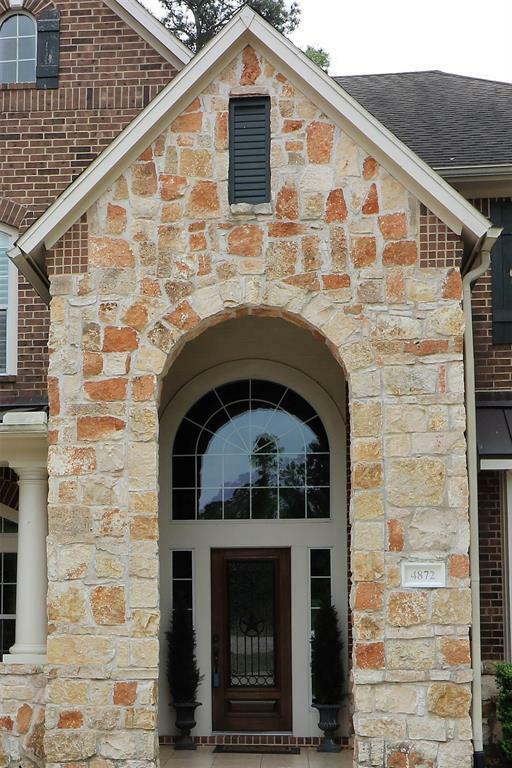 Exquisite former David Weekley "Berkeley Plan model home on 18th hole of the Links at West Fork. 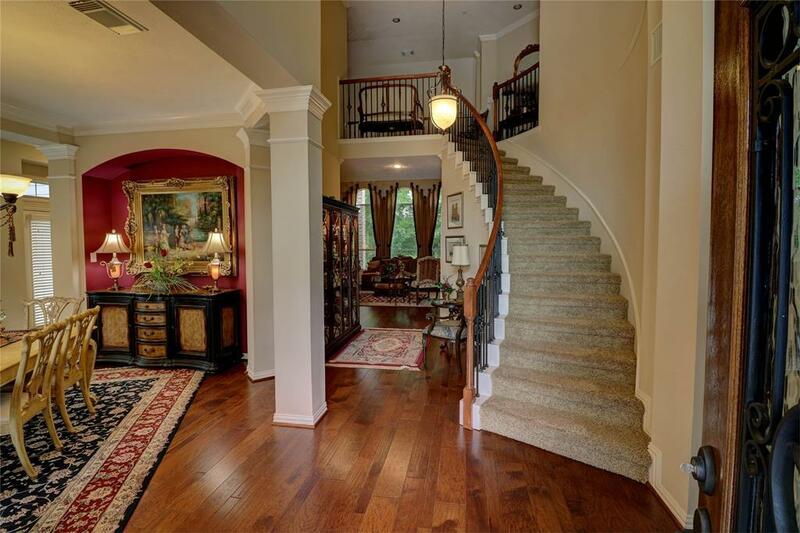 Grand entrance to 2 story foyer. 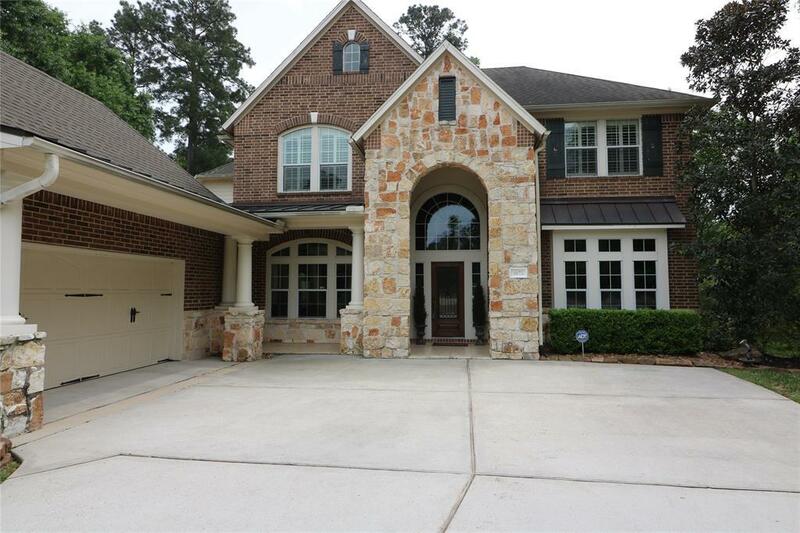 Home features 2 staircases, travertine & wood floors, fabulous master suite and large island kitchen for entertaining. Kitchen is open to the large breakfast room w/French doors to covered back porch overlooking the golf course. Additional charming wine room w/wet bar and french doors to secluded outdoor courtyard complete with gas fireplace and outdoor kitchen. Upstairs gameroom w/outside balcony viewing golf course as well. Lush landscaping with walkway down to golf course. Oversized garage with additional overhead door on backside. Home is in the Estate Section just steps away from West Fork Golf & Country Club, an 18-hole championship golf course cut along the banks of the west fork of the San Jacinto River. (link available) Subdivision is off Hwy 105 W , convenient to FM3083 & I45, shopping & medical facilities. Listing courtesy of Homesplus Real Estate Services.